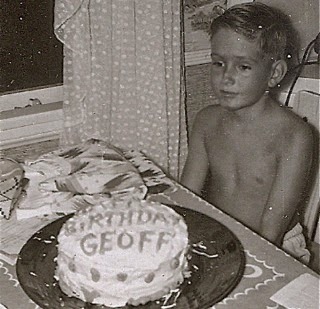 Happy Birthday To Me - Again, And More! Every birthday is special, but when there are so darn many candles on the cake it's really special! I mean, you know you're getting up there when you have to get a special permit from the Fire Department to light off your cake, for goodness sake! Well, my sweet and very loving wife and I are far away this year, celebrating my birthday - as we did our anniversary last week - at an exotic location. Tomorrow night I will look forward to slightly singed eyebrows and contributing significantly to the pollution of this planet with the smoke from the cake. AND HERE'S A WAY TO CELEBRATE! After you've finished wishing me well on this milestone of advancing geezerdom, I have a suggestion for you. How about joining those stalwarts from Costa Mesans For Responsible Government (CM4RG) at the General Plan Workshop they are conducting tomorrow night, Thursday, August 14th at the Neighborhood Community Center, 1845 Park Avenue ( Lions Park) beginning at 6:30? If you are concerned about Traffic, High Density Development and other elements of the Plan, spend a couple hours getting answers.